Crouching with a little cat as well as its calming tuneful purring is perhaps liked by most of the cat owners. Scientific researchers have exposed the fact that the cat lovers or owners generally have normal blood pressure. They may also live for a longer period than other people, who do not have pets. However, the most interesting action of a cat is its purring. This is the most compelling sound. In fact, it is such a tune, which may make your mind smile or imagine that everything is well in its world. The mild sound lightens up you and also mystifies your mind. But, what does it mean when cats purr? Some of the facts, related to it, will surprise you. This purring can fulfill more than a single purpose. Thus, when you have the belief like many other people that the cats may purr only during the happiness or contentment, you are missing on how complicated a purr really is. Though you will not be able to know precisely what your cat is stating while it purrs the study from various animal specialists, together with considering the circumstances, allow you to have a knowledgeable guess. Do the large cats purr? The big cats, which roar, (for example, lions) do not purr. However, the cats that do not roar may purr, for example, bobcats or cheetahs. The cats, which purr, possess a solid hyoid bone that is present near the throat. The kitties, which are not able to drone, have quite more pliable hyoid bone. This elasticity of their bone allows for roaring rather than purring. How cats do their purr? The purr that is made by the cat is, in fact, part of exhaling and inhaling of its natural intake of air (The sounds of meow is heard just during the exhalation). This is caused due to the closing and the opening of the gap between the vocal cords of the cat. The cat’s laryngeal muscles lead to the closing and releasing action. All these things are regulated with the brain, and this is known as neural oscillator. The purr speaks lots of diverse emotional conditions. One of the things with which we are familiar is that the purring kitty is happy and content. However, in fact, the cats buzz for a range of causes and all of these do not indicate satisfaction. The purr of the cats is comparable to the smile of humans. We smile for different reasons, for example, we smile for being happy, anxious or hesitant. We also smile while attempting to make anyone feel comfy. The same principle can be said in case of purring. Cats can purr while remaining joyful and also for soothing itself. The cats can do purring with an effort to pacify a possible rival while knowing that there is no way to escape. Want to have something – A cat’s purring may go with feline appeals for something that they desire, and it may be heard during the time of eating the meal. You may also hear it while the cat likes to sit on a lap. Often, the purring is related to some vocalization as well as active conducts. Fear – It is generally believed that some kitties purr while feeling very troubled or scared. This kind of purring is observed commonly in the setting of some veterinary hospitals. And it may be somewhat easy to hear. The relation of mother and kitten – Kittens start purring while they are gradually growing older. This is most visible when the kitties are in intimate relation with the mom. In fact, they are able to purr at the time of nursing. The mother kitty usually purrs to give respond. Possibly, this behavior of cat’s purring stands for the tools of connection of one mother cat with the young ones. The kittens, in fact, begin purring while they are about 2 days in the age. While the kittens are cared for, they can never meow, thus they demonstrate their satisfaction by buzzing. The mother car purrs back safety and comfort. There is also another different reason of purring. The purring helps to keep the kitties protected from predators. The greedy predators easily make out the cries and not the purrs’ vibrations. 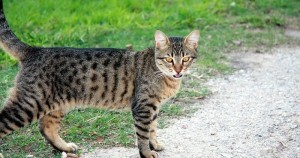 The new mother cats are susceptible and they can never protect themselves while giving any birth. The aching cries draw risk. Thus, rather than sobbing, they buzz. You know that all the purrs may not be considered as the buzzes of pleasure. Cats may purr while they become worried or are very ill. Sometime, during the ending days of their lifetime, the cats purr. Why do kittens purr? This question has increased the interest of the different scientists for several years. The researches have observed that the cat’s purrs vacillate at somewhat low rate of about twenty five to hundred Herz. The frequencies encourage the healing of the bone and alleviate the pain of the muscle. The scientific tests of people, by receiving ultrasound technology, have shown that low intensity or frequency ultrasound speeds up curing in the cracks. Purrs assure and pacify, they endorse healing, as well as lessen the aching. Many reports say that the cats can get cured more quickly than other creatures, which do not buzz. In fact, purring leads to the production of endorphins, which may lessen the pain. And healing also occurs. Purring of cats is similar to the pricey ultrasound cares, with no medical bill. In the natural situation, cats spend much time in flopping around and waiting for a prey. 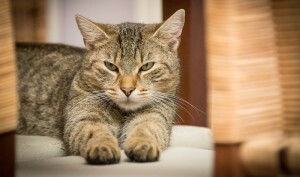 Thus, purring can rouse bones in order that they do not turn out to be brittle or weak. The purr-like pulsation tools are intended for possible application in the therapies. In some cases, it is seen that the old-aged cats may purr while they approach some other cats or play with the other cats. With these acts, they want to signal that they are gracious and like to come quite closer. It is really very difficult to think that your purring relaxed cat is now in some low-intensity workout sessions. The scientists have observed that the feline animals are skilled at preserving the energy with the lounging and the laps. In fact, the vibrations that are created due to the purring behavior can motivate the bones and muscles with no use of the extra effort or energy. Though you may not like to confess the fact, and a cat surely will not accept this approach, the purrs sometimes are only slightly manipulative in nature. The cats that have created a powerful link with a definite individual may produce a kind of purr, known as a purr for socialization. Such purr comprises not simply the lower vibrations common to every purr, but also considers a vocalization of high frequency, which is like the noise of the cry of a human baby. You have possibly observed that your feline pal is making use of this kind of purr while it attempts to awaken you in morning and while it is hungry. Many of the feline creatures may be considered to be constant purr boxes. It may lead to an issue, related to the noisy purring. When the heart sound of the cats needs to be checked by the doctor with the help of a stethoscope, the purring sound can cause problems. One may try to break off the purring by wrapping the nose of the kitty with the fingers for some seconds. While this does not solve the problem, one alcohol rinsed cotton piece needs to be placed close to nose of the cat. The scientists are still making research about the facts that make any cat buzz. It is a hard issue to learn as there are only few numbers of cats, which do not buzz, except all those, who have brutal disabilities or injuries. However, one fact is evident that the cat’s purring may be important for a number of purposes and it is an essential action for the cats. 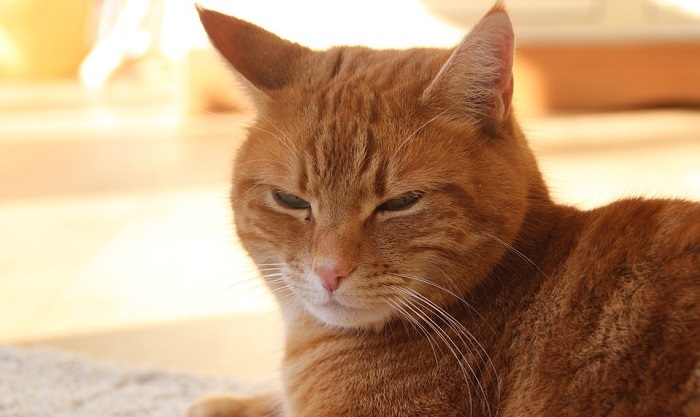 Many cat owners have also complained- why doesn’t my cat purr? There may be some health problems behind it, and a vet can tell them about it. Thus, excessive purring and silence without purring- both are some problems to the cat owners.